Creative web design and seo agency in Wollongong and Parramatta. Our aim is to make 'the' difference… to the businesses of our clients and to the quality of the internet. We’re an Australian based (internationally operating) online web design agency. We deliver stunning results through classy & stylish web design and the latest website development & SEO strategies. Our web designers pride themselves on providing the best web site design services to customers in all locations, in particular the regions of Parramatta, Sydney and Wollongong. The latest technology is used to develop our website. Websites can be managed by yourself with the most reliable Content Management Systems (CMS) available. Maximum clarity and user-friendly structure. Simple, stylish, modern and functional websites. Australian owned and operated - No overseas outsourcing. GoAnna Designs consists of professional associates who work together to form one group of online specialists. 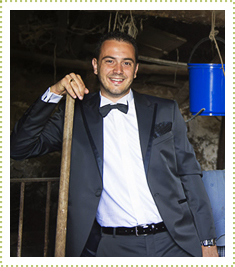 "I originate from the countryside of the Southern Italian coastal village of Sorrento. I have extensive creative art and web design skills. With 7 years of website design and website development experience, I have worked with some of Italy’s most prestigious companies including 5 star hotels, restaurants and shopping centres throughout Positano, Capri and Sorrento. I am a certified Associate of Adobe and have completed a Diploma of Arts at ISA (State Institute of Art) F. Grandi in Sorrento and a Masters of Creative Graphical Advertising from ILAS Institute of Naples." Check out Anna Maria’s portfolio! "On pen and paper, I’ve got the weapons: A Bachelor degree of Business and Commerce, Diploma of Accounting, Certificate III in Information Technology and an International Teaching English as a Foreign Language certificate. 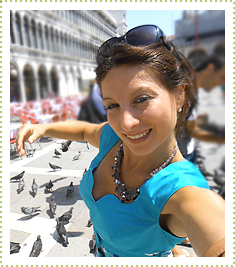 I drive the operations of GoAnna Designs and direct all SEO strategies and online marketing campaigns for our clients. By the way: I enjoy gardening, cooking and fishing everywhere in the world." A sacred species to the Australian Aborigine. 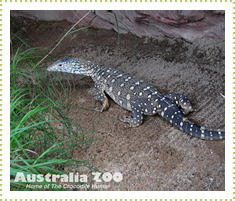 The Goanna is a native Australian lizard and is a nationwide protected species. Goanna’s are large predators reaching over 2m long. They are capable of killing and eating a baby kangaroo. Our logo is derived from a real Goanna. We give thanks to the beautiful creatures of our country and assist nature activists, like Steve Irwin’s Australia Zoo in making a difference by adopting an animal. Please meet our foster child Penny! You can also adopt her! We believe in the awareness of maintaining our unique Australian nature and environment.